2mm Toddler’s & Kid’s O’Neill Reactor Full Wetsuit No more blue lips for the little guys! 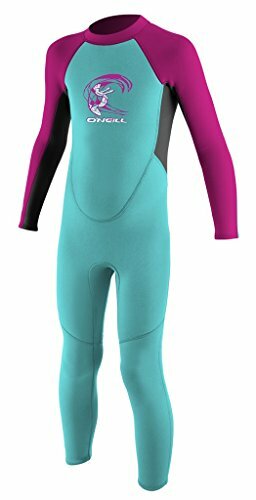 The 2mm Toddler’s & Kid’s O’Neill REACTOR Full Wetsuit gets you into a quality suit at a great price! 30% of the suit(shoulders and sleeves) are made of supertretch neoprene so it won’t restrict your upper body range of motion. Features durable flatlock seams, neck seal to resist flushing, seamless paddle zones for range of motion and a chafe free day. Key pocket inside. Great for all watersports. O’Neill Wetsuits come with a 1 year warranty on materials and craftsmanship (90 days on accessories). You can help keep your wetsuit in great shape for years to come by always rinsing in fresh water and hanging to dry. A number of wetsuit care products can be found on our Wetsuit Accessories page.